Click here to place your order. Simply sign up as an associate, pick 2 products of your choice and one of the qualifying free products. You will pay a $39 wholesale pricing membership fee & the cost of the products & shipping. The best part is now you will be able to share XO with others. You will get a start up kit and a free website and all the support you need. The compensation is phenomenal. I can show you how to earn $1500 in your very first week. If you are willing to work hard, you will do well. This is not only great for you but a very lucrative opportunity. Opportunity is knocking at your door! Total cost to start as an associate starts as low as $279 and you get a free product!! Total cost to start as a Business Builder (Highly recommended) starts as low as $759 with three free products!! One box of power squares will last you 6 weeks eating the recommended 3 a day. If you want to get started on the wellness plan, 4 bags of shakes will last you 28 days having 2 shakes a day or nearly 2 months with one shake a day. Supplement your diet with 3 of the power squares a day for whenever you are craving sweets. If you and your significant other want to try it out, this is a great way to do it. 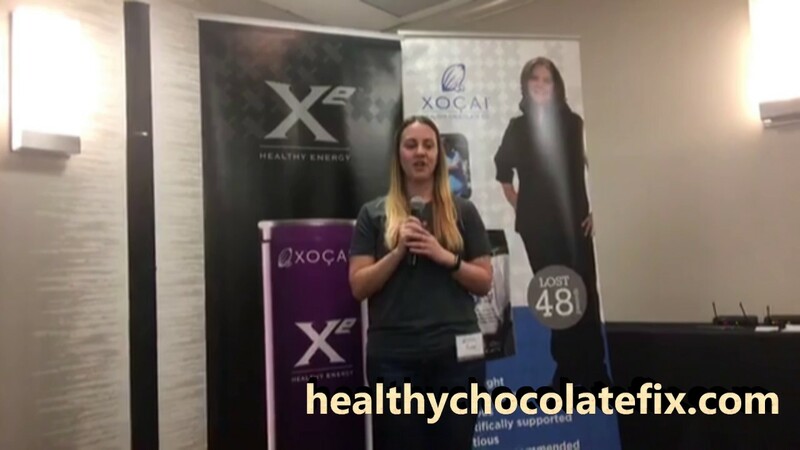 You each have one shake a day and split the healthy chocolate for a month. Now you can order as much as you want so if you order and decide this is definitely for you, you still have until midnight pacific time on 5/5 to order more with the special.